Rehearsals have been going well! Big thanks to the instructors (Lindsay, Jeanne, Teri, Tim, Janelle, Andrea, and Jade) and the venues (YMCA, Firehouse, Old Pen) for donating to this cause. We are excited that so many of you have come out to dance with us and would encourage you to please help us spread the word to your friends and family. We want this performance to be HUGE! Here are some practice tools for you to work with at home. Please continue to join us for as many live rehearsals as you can attend. 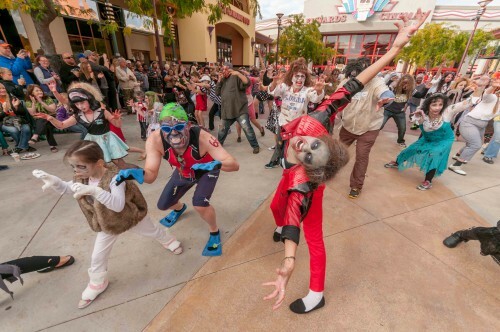 It’s time to shake off the dust and get those zombie booties moving! All interested participants are welcome to attend rehearsals with no registration required. We ask that anyone wishing to dance at our local performances attend at least one live rehearsal as well as practice at home (we will provide links to videos and scripts.) Rehearsals are free to attend, but we do accept donations to cover our administrative costs. Please feel free to contact us with any questions! The official international performance will be October 29 at 4pm at the Boise Spectrum. You must be registered with Thrill the World Boise to participate (details to come.) Please sign up for our mailing list and share this opportunity with your friends and family using the links below. Welcome back, Boise Zombies 2016! The mornings are getting crisp and the leaves are starting to turn. The earth begins to shift as the zombies awaken from their slumber. It’s time once again to thrill Boise! This year’s main performance will be held on October 29th at 4pm at the Boise Spectrum (7709 W Overland Rd, Boise, ID 83709.) We will also be returning to the Frightened Felons events on October 29 and 30. Additional performance times may be announced. Our team is hard at work ironing out rehearsal details, so stay tuned for more! 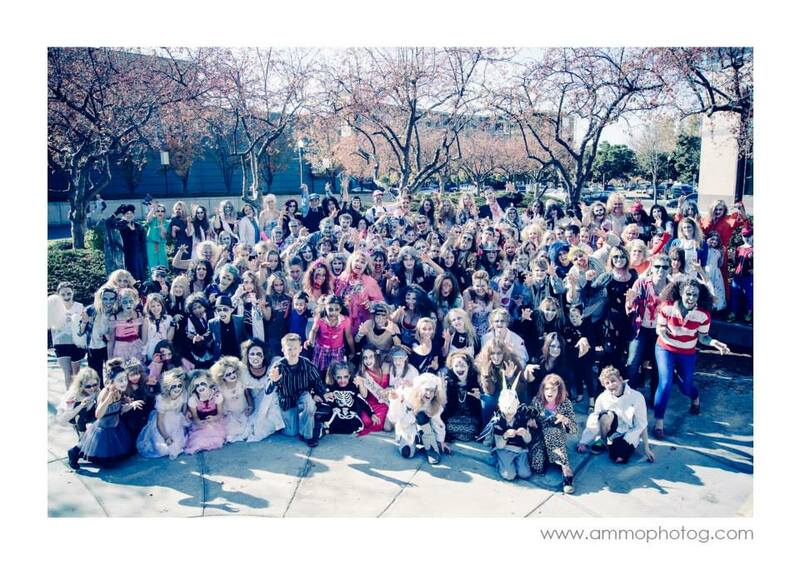 Group shot 2 for Thrill the World, Boise, Idaho at the Boise Spectrum. Photo by Pete Grady. 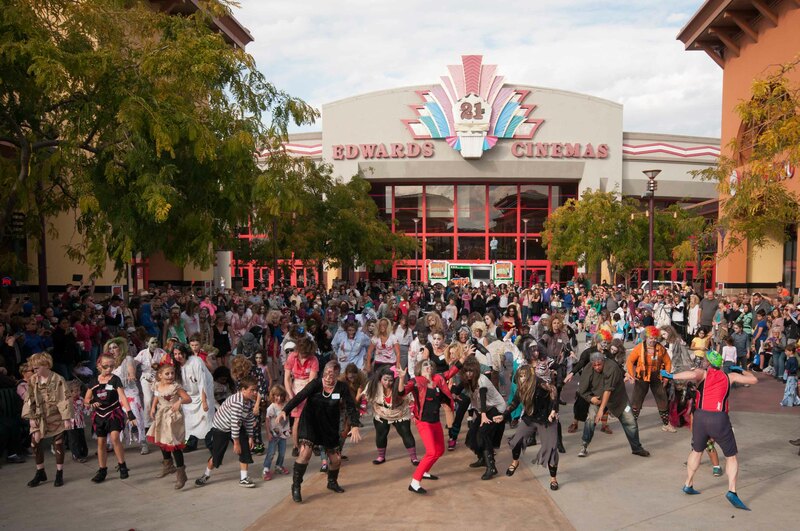 The 2015 Thrill the World Boise will take place October 24 @ 4pm. We will again be dancing at the Boise Spectrum near the fountain. We are in need of a team of zombie helpers to assist with the planning and execution of this amazing community event. Please let us know if you would like to be included! We are wanting to get practices scheduled as soon as possible so please let us know if you are interested!! Let’s get ready to THRILL BOISE!!! Candid photo #3 for Thrill the World Boise 2014 at the Boise Spectrum in Boise, Idaho. Photo by Pete Grady. 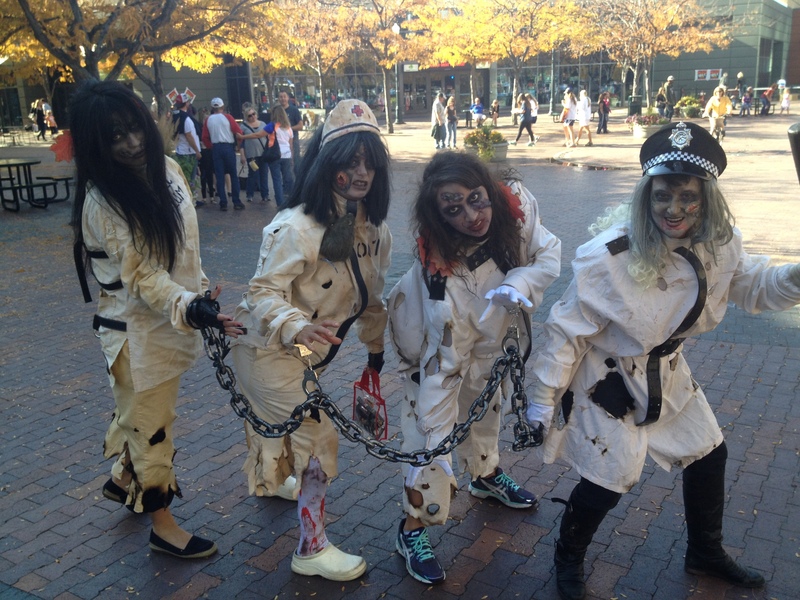 We are kicking off the 2015 Thrill the World Boise event!! Come see us at the Boise Spectrum TODAY at their Grand Reopening: 4p.m. – 7 p.m! This will be the location of the Official Thrill the World dance on October 24, 2015 at 4p.m.!! Bring the family for an evening of entertainment! Today, August 29, 2015. Events include: music, giveaways, bounce houses, AND face painting!! More information pertaining to practices, instructors, and other performances to follow shortly. We are in need of a team of awesome zombie helpers to assist with the planning and execution of this amazing community event. Please let us know if you would like to be included! 5 Cheers for Thrill The World Boise! Thanks to everyone that supported our 5th Anniversary event! Our final zombie count on Thrill Day was 141. We would like to send a big shout out to our sponsors: Revolutions Entertainment, Wild 101, YMCA, Idaho Historical Society and the Old Penitentiary, and Ammo Photography. Many thanks to the volunteer team who spent countless hours on administration and rehearsals: Janelle Wilson, Janet Cravens, Gia-Ninh Chuang, and Dustie Combs Jackson. 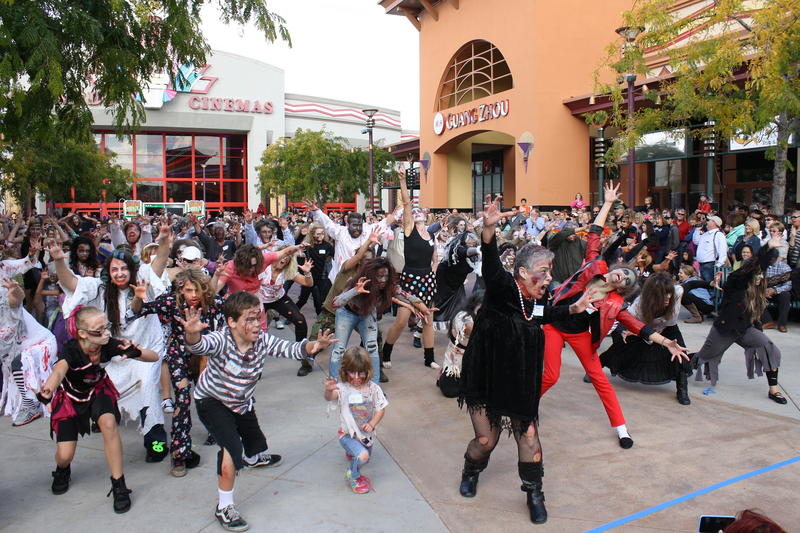 And another round of applause for all the zombie performers!!! Please remember to email us your photos and links to videos or add them to our Facebook page. Also, be sure to let us know if you would like to be on the volunteer team for next year’s event.